Barangaroo has been one of the most controversial recent developments in Sydney. However I am enjoying the view at night as the building and cranes are illuminated, it gives a very different & dramatic view of the area. 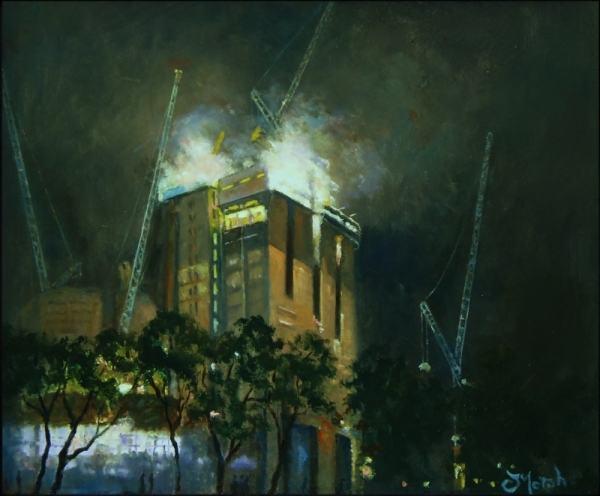 This painting was a Semi Finalist in NSW Parliamentary Plein Air Prize and recently on display in Parliament House, Sydney.